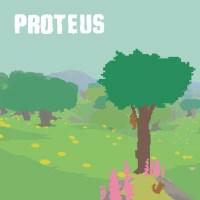 A short exploration game set on a procedurally-generated island with minimal interactivity. Walk around and look at pixelated landscapes, plants, and animals, the latter of which usually flee from your approach. Passing near certain stones will cause them to emit white lights and during the night phase of the day/night cycle you can find a circle of these lights which allows you to advance to the next season. Once you’ve seen all four seasons, the game ends. That’s about it. There isn’t enough interactivity to enable engaging gameplay or enough variety to justify exploration. While aesthetics are subjective I did not find the low-resolution and low-color graphics or the sparse music to be beautiful or soothing enough to create an enjoyable meditative experience. I’m left with no reason at all to play this game. I Stopped Playing When: While I had a few enjoyable moments in my first few minutes when there were still surprises, it rapidly became clear there wouldn’t be any more. I put the game down after ten minutes or so and looked online to confirm I wasn’t somehow missing the actual core of the game.